Forget everything you know about Casino Canberra. The formerly dated and dingy venue has been fully revamped. With an upgraded gaming floor, epic restaurant, marvellous lounge, and impressive bar, the property is a sight worth beholding. 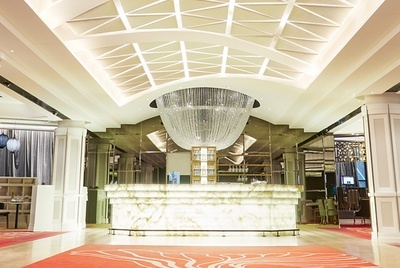 Casino Canberra has finally reached the 21st century in total style and sophistication. When you see what's in store, we're sure you'll agree it's been worth the wait. Casino Canberra is particularly great for anyone who enjoys roulette. With multiple ways to play the game, including occasional tournaments, it's worth stopping by. Whether you are a local or find yourself in the capital on business, the venue proves there's more than just political theatre happening in Canberra. Despite having just 30 gaming tables in the main gaming area, Casino Canberra has plenty of roulette to go round. In fact, there are several ways to experience the game. Enjoy traditional American as well as European roulette tables at a wide range of stakes. Table minimum and maximums depend on demand and the time of day. While getting up close and personal with a skill croupier as she spins the mechanical wheel is certainly part of a great casino experience, it isn't for everybody. In fact, if you are accustomed to playing on the internet, live roulette can leave you more than a little impatient. Yet that's not the only way to play in 2019. When you visit the casino, you'll have the opportunity to enjoy multi terminal table games including roulette. Although you'll interact with a touchscreen, these games aren't strictly digital. Every spin is hosted by a live dealer, which means you'll be playing along with other casino patrons on their own terminals. The games are a lot quicker and you aren't obligated to play on every spin. These games are ideal if you are just starting out, want to play for lower stakes, or you don't like dealing with crowds at a busy table. Just grab one of the fifty seats in the multi terminal gaming stadium and let the good times roll. Don't forget to cash out your winnings before leaving your terminal. Casino Canberra manages to run circles around other Australian casinos by offering roulette tournaments. For an affordable buy-in of $75 to $100, you can compete for a prize pool in the neighbourhood of $15,000. These weekend events frequently find their way onto the gaming calendar but are only available to members of the Advantage loyalty program. Although Casino Canberra is smaller than the gaming establishments in Sydney or Melbourne, there are enough games to entertain gamblers of all skill levels and financial means. Enjoy pai gow, blackjack, standard poker, baccarat, pontoon, Canberra poker, and sic bo tables. The multi terminal gaming experience we described earlier isn't limited to roulette. You can also enjoy baccarat and sic bo in the same format. Just keep in mind that different games may take place simultaneously and not all games are offered at all times. You'll also find a money wheel, which always attracts a lively crowd. If you love poker, you'll want to head to the Lotus Room. Be sure to check the schedule for upcoming tournaments or play cash games. If you're wondering what happened to the pokies, there are none at press time. 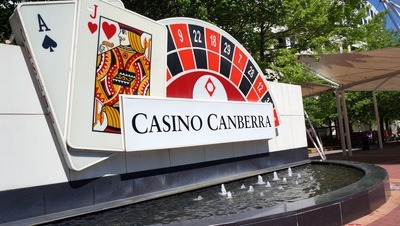 Casino Canberra is the only Australian casino without poker machines due to peculiar licensing laws, which are in the process of being altered. We highly recommend that all visitors sign up for the newly launched Advantage loyalty program. It's the easiest way to earn complimentary play, accommodations, meals, and more. All you have to do is enjoy your favourite games to earn amazing rewards. Prior to the overhaul earlier this year, Casino Canberra was a bit ramshackle. In fact, the old space was a frequent punchline, especially among the locals. In fact, many people haven't yet heard about the miraculous rebirth. A marketing blitz is underway, so you can count on tonnes of cash giveaways and nightly specials. Visit the website to find the most up to date offers. Named after everybody's favourite baccarat hand, Natural 9 is already our preferred restaurant in Canberra. As the name implies, the delicious menu puts the emphasis on fresh and organic fare. Savour favourites like miso braised blue eye cod, grilled beef wagyu filet, and kung pao bangalow pork. If you're looking for a little rest or relaxation, the Chandelier Bar and Onyx Lounge have great ambiences and cocktails to match. If you plan on staying the night, the Crowne Plaza offers modern rooms, a fitness centre, outdoor pool, sauna, and great restaurants. It's not only located next to the casino, but you there are special rates for Canberra Casino patrons. We're sad to report that the ironically legendary Galaxy Nightclub is no more. You'll have to get your '80s music fix elsewhere, but that's the price the world has to pay for the fancy new digs. We reckon it's worth it given how spectacular the new gaming floor is. If you're looking for additional onsite entertainment, Casino Canberra always has the game on the big screen. Just head to the Lotus Room and root for your team. Canberra Casino accepts a whole host of Australian-friendly banking options. These include Visa, Mastercard, Maestro, PayPal, POLi, Neteller, Ukash, ClickandBuy, and many more.